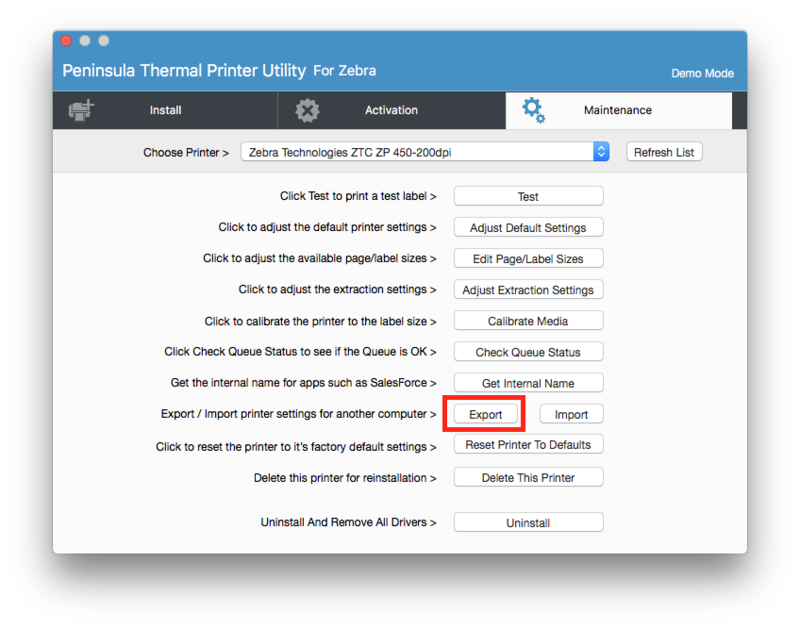 Below you will find a tutorial showing you a step by step guide to exporting printer settings. Open up your Thermal driver software and click on the maintenance tab. This will be the third tab along on the top row. In the maintenance tab, find the Export button and click on it. We have highlighted the button with a red rectangle for you. Once you have clicked the "export" button, a new dialog will show. 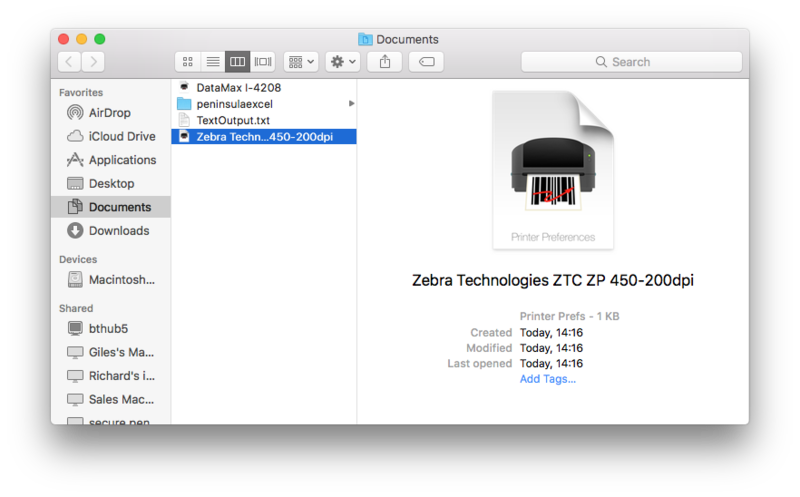 You can rename your printer settings if you wish to and chose where to save to. 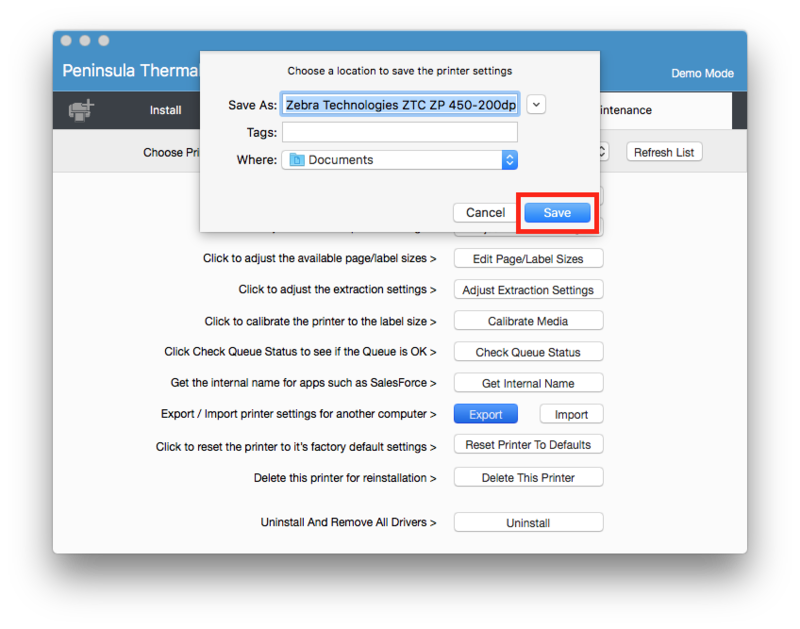 When you have clicked save a dialog will open to show you where your printer settings are. 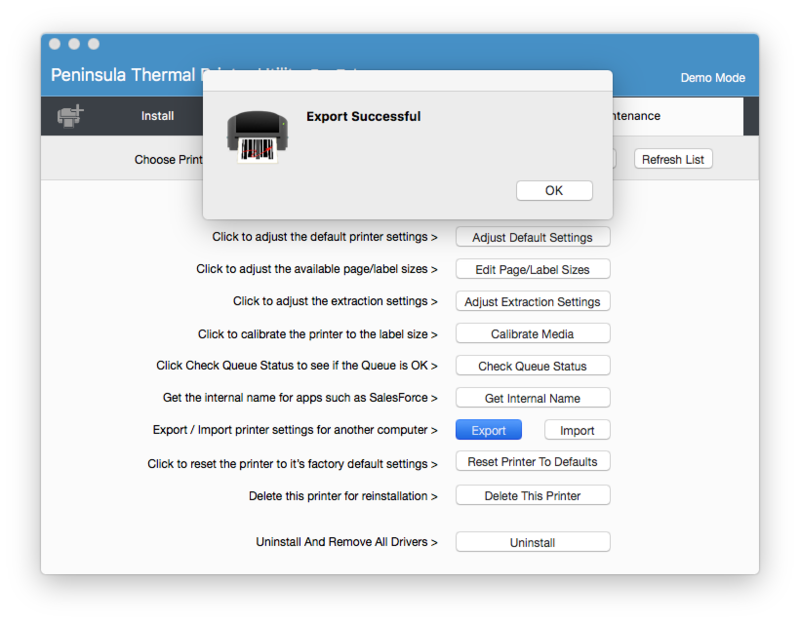 you will see a new dialog that tells you export has been successful.